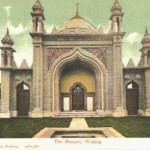 The Welsh and the Muslims, a lecture by Grahame Davies – Muslim Museum UK – Uncover the 1400 year relationship between Britain and Islam. 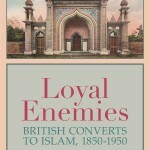 Explore the history and heritage of Muslims in Britain. This is a lecture by Grahame Davies author of ‘The Dragon and the Crescent’, about the history of contact between the Islamic world and Wales over the course of history. Delivered at the Centre for for Study of Islam in the UK, Cardiff University.